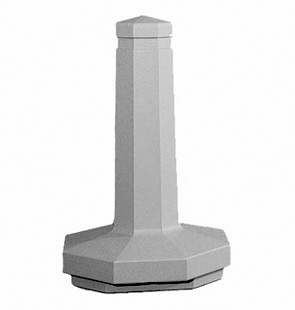 These precast concrete bollards can be used to make decorative statements, line your corporate driveway, control traffic flow or heighten security. The portable design allows them to be moved to different locations when needed, but the heavy-duty concrete construction still deters unwanted theft and vandalism. The pedestal style of the bollard provides a durable base that securely holds the anchor in place during even the windiest conditions. Use a single bollard or chain together dozens to create barriers of various sizes. 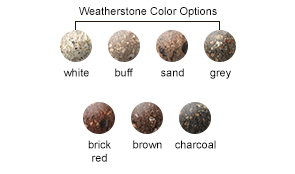 Bollards are available in the color options shown below with either a Weatherstone or Smooth Stained Concrete Finish.